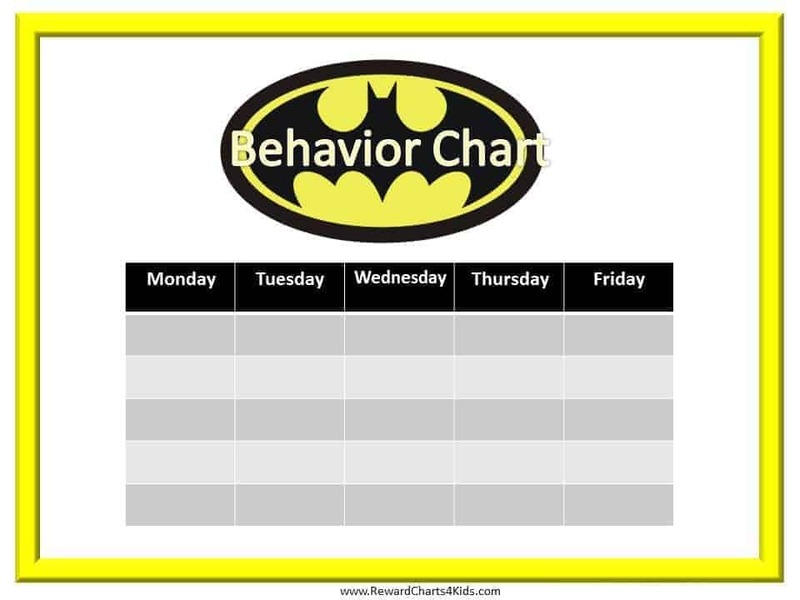 Free Printable Batman Behavior Charts. Most of the charts can be edited. You can add the child’s name and type the list of skills that you want your child to work on. Since they can be edited you can use them for any purpose such as chore charts, incentive charts or even Batman potty charts. Some of the charts can be personalized with your child’s photo (see below). This is a 10 step behavior chart. There is a section (on the bottom right corner) to write the issues that you would like your child to improve (such as no hitting, no biting, etc). On the customizable version you can type the list of things that you want to child to improve. This is a 15 step behavior chart with Batman. There is a section to write / type things that you want your child to do (such as say please and thank you) and things that you do not want your child to do (such as fighting with sibling). This is a 12 step behavior chart with a picture of Batman and his logo to target a specific behavior.. This is a 20 step behavior chart with Batman. 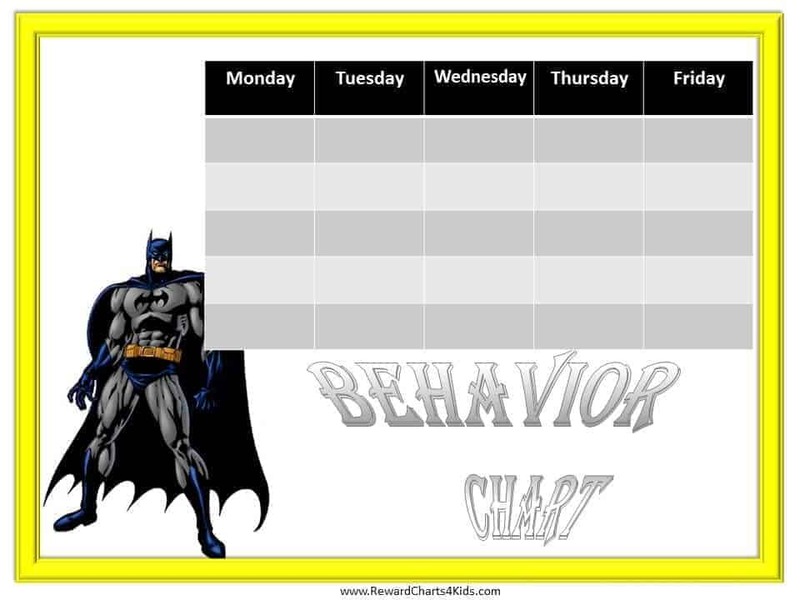 Weekly Behavior Chart with Batman (The week starts on Monday and “behaviour” is spelled with a “u”). On the editable version you can change the weekdays around. 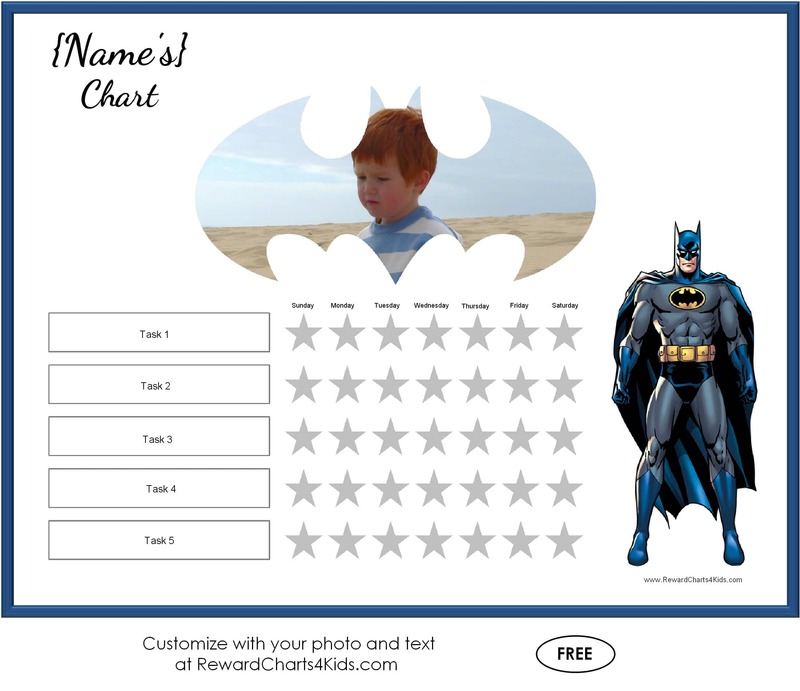 Free printable reward charts with a Batman theme. 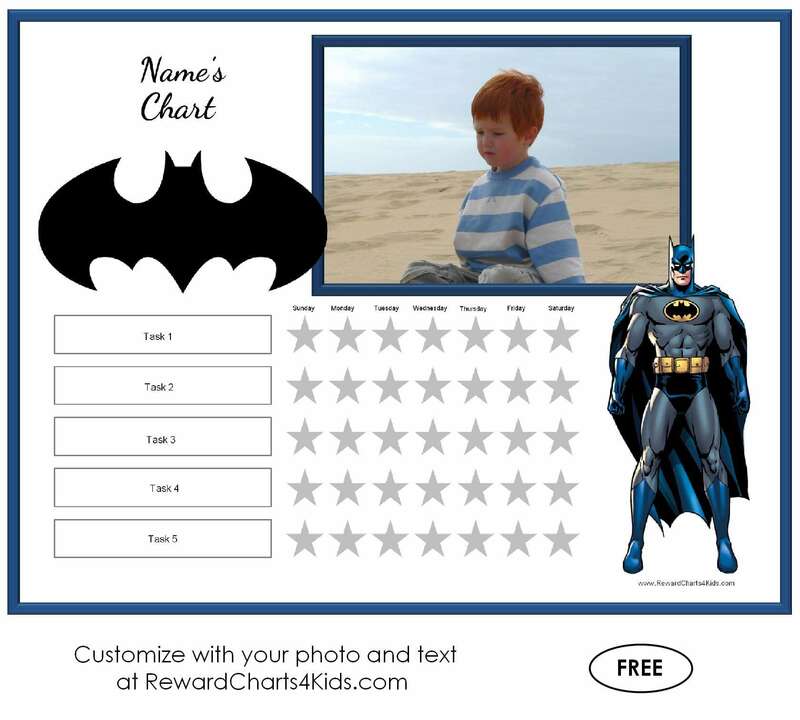 This is a 20 step Batman Reward Chart that can be colored and decorated before it is used. Many more behavior charts on this site.